You want fun. You want tech. You want comfort. You want practicality. Then you want the 2018 Volkswagen Tiguan, for sale now at our Tampa VW dealership. The Tiguan is renowned for taking all of the qualities you love about a Volkswagen, then expanding them into a versatile, family-friendly people and cargo carrier. So why do reviewers recommend the 2018 Tiguan? Let’s take a look. It delivers an outstanding level of practical versatility. 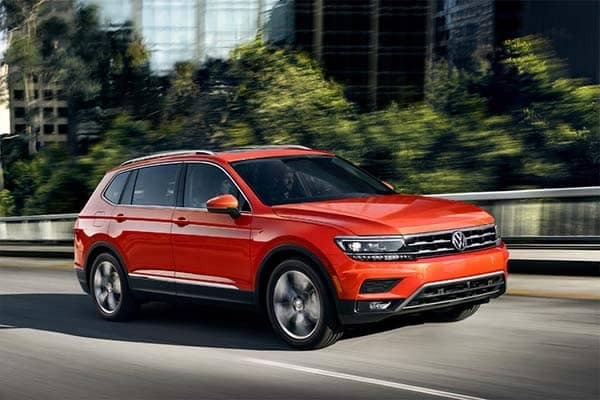 Reviewers such as the Car Connection, US News Rankings and Reviews, and TopGear have praised the 2018 Volkswagen Tiguan for its “spacious interior,” “roomy first- and second-row seats,” and “good cargo space.” Whether you’re carrying passengers or cargo, you’ll have plenty of room to do it in comfort. It’s packed with tech features. Experts have applauded the fact that the 2018 Tiguan boasts a wide range of exciting features. 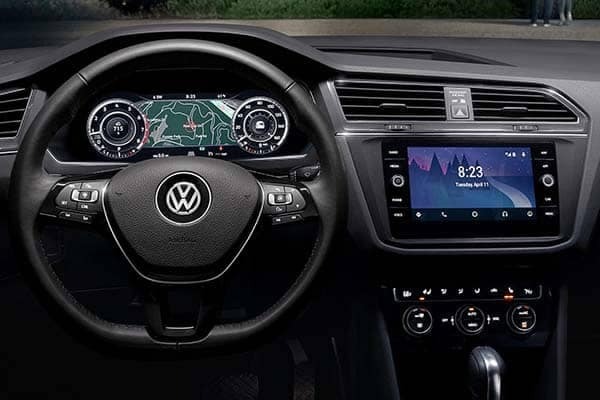 From “one of the most comprehensive warranties for a new car on the road today,” to a rearview camera, to a range of large standard and optional touchscreens, to standard inclusion of Apple CarPlay and Android Auto—and a whole lot more—the new Tiguan is equipped to deliver comfort and convenience. The 2018 Tiguan has been redesigned to offer a more “contemporary” sense of styling. Reviewers have described it with words like “sharper,” “chiseled,” and “more intimidating.” Simply put, it proves that practicality can look great. Why Get Your 2018 VW Tiguan from Our Tampa Volkswagen Dealer? So you know you want the 2018 Volkswagen Tiguan—now let’s take a look at why you should get it from our Tampa VW dealership. At Reeves Volkswagen, we’re renowned for offering more of everything you demand from an auto dealer. That means more selection, more service convenience, more specials, and more all-around satisfaction. What do we mean by “more satisfaction?” Recently, we implemented the I Care Promise. This is a one of a kind commitment to providing you with the highest degree of customer service, meaning that you will receive an unrivaled level of knowledgeable, prompt assistance every time you interact with a member of our team. Bottom line—at Reeves Volkswagen, you always come first, and that’s a promise. Check out our selection of the 2018 VW Tiguan online, or call Reeves Volkswagen at (855) 248-4512 today.